Part six in a series. 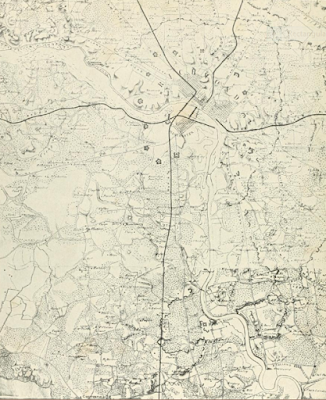 The Richmond-Petersburg Campaign witnessed many dark days for the Army of Northern Virginia, but one that has received scant attention is August 16, 1864. On that day, Lee’s army lost two brigadier generals. This post will briefly examine the life of Brig. Gen. John R. Chambliss, Jr. and the impact his death had upon events north of the James in 1864. John R. Chambliss, Jr. was a native of Greensville County, Virginia. He was the son of John R. Chambliss, Sr., a lawyer who would later serve in the First Confederate Congress and would tragically outlive his son by 11 years. The future Confederate general went to West Point and soon became close friends with future Union cavalier David McM. Gregg. He graduated 31st in the Class of 1853, which also included John Bell Hood, Phil Sheridan, and James B. McPherson among others. 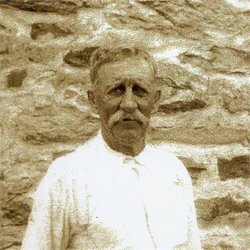 He resigned after teaching at the cavalry school at Carlisle and was a civilian until he joined the local militia in 1858. When war broke out he was an aide-de-camp to Henry A. Wise and colonel of the 41st Virginia Infantry before transferring to the 13th Virginia Cavalry. 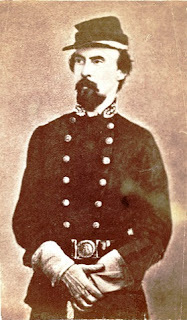 Chambliss conducted himself well in many of the eastern theater’s better known cavalry actions, including important roles at Beverly Ford and East Cavalry Field at Gettysburg. He was promoted to brigade command in December of 1863 after meritorious service at Morton’s Ford and Brandy Station during the Bristoe Campaign. He commanded a brigade of Virginians and Tarheels under Maj. Gen. “Rooney” Lee, a command he had briefly held once before following Lee’s wounding at the June 1863 battle at Brandy Station. 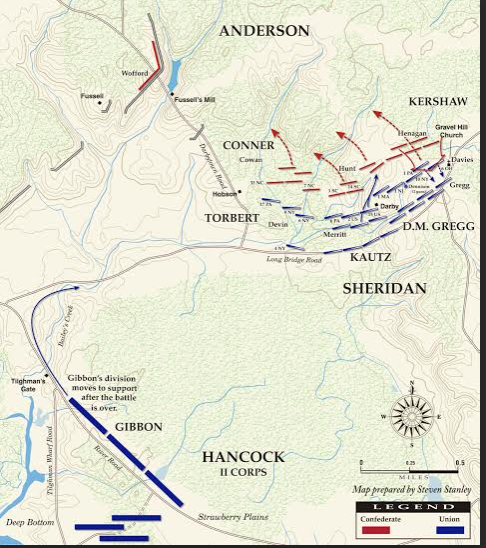 Chambliss’s last ride would take place during the Second Battle of Deep Bottom, fought August 14-20, 1864. Part of Grant’s Fourth Offensive, this Union foray north of the James River involved Hancock’s II Corps again crossing at the Deep Bottom bridgehead, along with Maj. Gen. David B. Birney’s X Corps from the Army of the James and a division of cavalry. 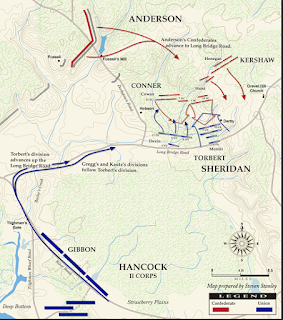 On this third day of the campaign, August 16, 1864 (usually referred to as “The Battle of Fussell’s Mill”) the heaviest fighting of the campaign occurred. While a two-pronged infantry assault was launched against the main Confederate line, Nelson Miles’s infantry brigade and cavalry under Chambliss’s old pard David Gregg launched a diversion down the Charles City Road that would set the two old friends on a collision course. When the Pennsylvanians called out for Chambliss to surrender, the general spurred his horse to the rear and was promptly fired upon by the Federals. The general was immediately hit in the neck and chest and dropped dead from the saddle. Curious Yankees surrounded the corpse and began cutting of mementos from his uniform until Davis Gregg arrived on the scene. 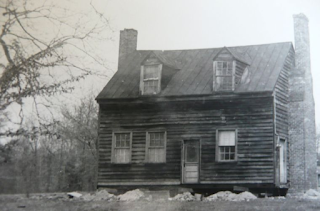 “The general was a small man, neatly dressed having on a fine, white linen shirt with coat, hat and pants to match,” recalled a member of the 5th New Hampshire. 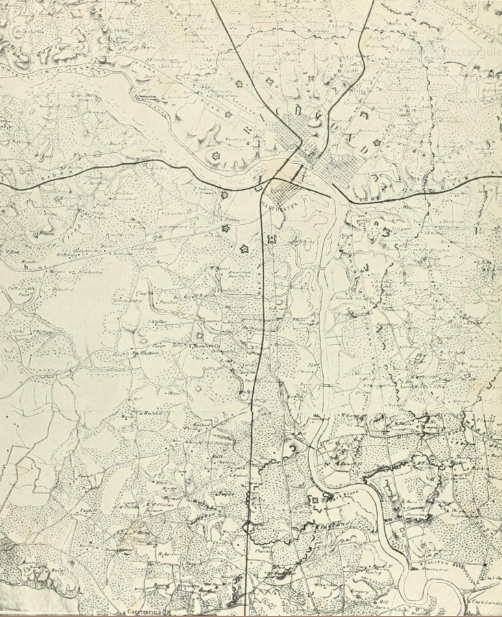 Also found on his person was a detailed map of the fortifications around Richmond. This map would prove extremely valuable when Grant and Maj. Gen. Benjamin Butler were planning the Fifth Offensive that would result in the Battle of Chaffin’s Farm. 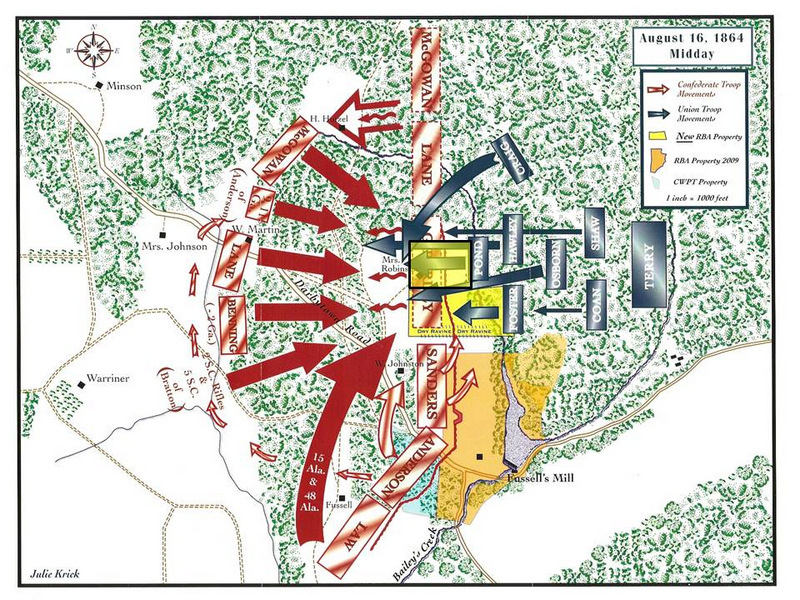 Butler had photographic copies of the map distributed to his subordinates when they prepared their assaults on New Market Heights and Fort Harrison. Federal solders placed Chambliss’s body in a wooden coffin and buried him near a place known locally as the Potteries, marking his grave with a wooden headboard. 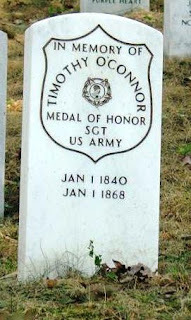 Confederate troops found the grave the next day and had the general’s remains shipped home for burial in the family cemetery. As we will see in my next post, Chambliss was not the only talented young brigadier to fall during the Second Deep Bottom Campaign. Ballenger later in life. Find-A-Grave.com. 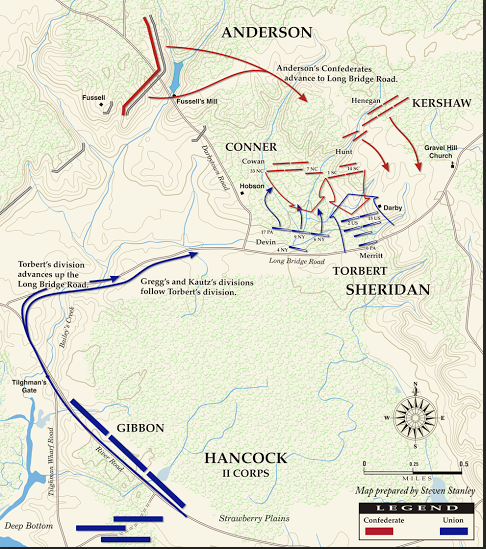 On the morning of the 28th, Anderson ordered a battle group of four brigades – Lane’s Brigade (under Colonel Robert V. Cowan), McGowan’s Brigade (under Lieutenant Colonel J.F. Hunt), Kershaw’s Brigade (under Colonel John Williford Henagan) and Wofford’s Brigade – to attack. Leading these four brigades into action was Brig. Gen. James Conner. Anderson’s objective in this assault was to turn Hancock’s right and push him back to Curle’s Neck, where he could be defeated in detail.